Saba Netherlands, The Leeward Islands is lying in the northern area of the Lesser Antilles, are part of the greater West Indies. 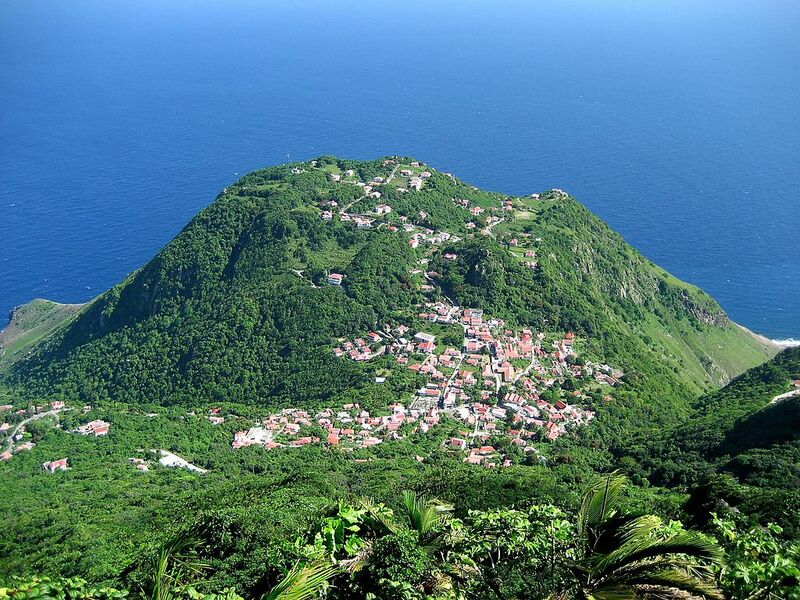 Just over 1,000 people populate this small 13 sq km (5 sq mi) Dutch island paradise. The rugged island is the cone of an extinct volcano, rising skyward 850 m (2,800 ft) to Mount Scenery, the highest peak in the ‘Kingdom of the Netherlands’. The peak can be climbed via a series of more than 1,000 steps. Alternatively, you can drive up the single spiral road that winds its way up the steep cliffs through lush greenery. The road connects the quaint villages of Hell’s Gate, Windwardside, St John’s and The Bottom.